Today, we bring you five powerful tips to overcome negative thoughts and embrace positive thinking. No person in life is happy-go-lucky all the time. Lot of times, we need motivation and positivity to beat our depression and move forward in life. Because in tough times, all we tend to see is hurdles on our path. In such situations, our brain doesn't work or response and we just want to give up on everything without giving it a second thought. We begin to think of the answers for questions like - Why am I thinking like this? How to silence negative thinking? What's the best way to stop negative thoughts? Will I be able to help myself? Well, to tell you a truth, everything is in our hands. We can think of few negative thoughts, then we can surely overcome negativity with our positivity. That is why, we bring you five powerful tips to overcome negative thoughts and embrace positive thinking. 1. 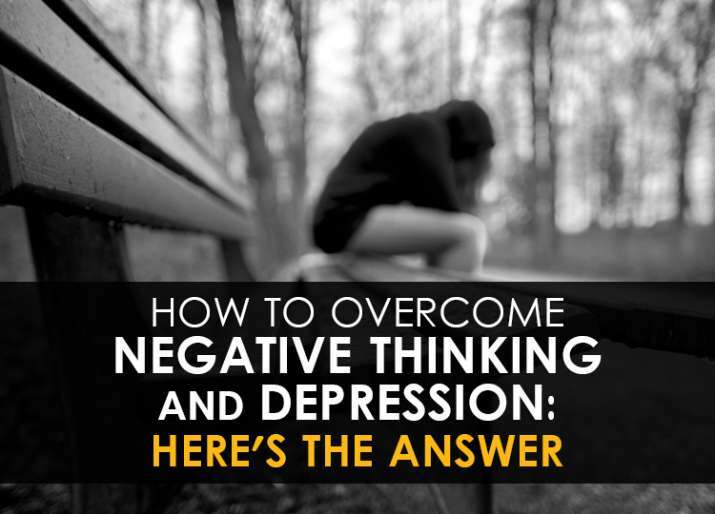 Admit and accept - The foremost rule to overcome negative thinking and depression is acceptance. Admit that you are going through rough phase of life which is the reason of your recent state of mind. Accept the fact and talk about it with no hesitation. "It is important to deal with stress appropriately. If one's internal resources are depleted or are not enough one can seek social support, talk about the issues with someone they trust, someone who understands them and would not be judgemental", says Avneesh Narain, Clinical Psychologist. Since training your brain is a gradual process, so talking about your present state will boost your confidence and take you forward to better you. 2. Begin with right morning rituals - Mornings can be really helpful in maintaining a cheerful mood throughout the day. If you begin with your morning right, it can help for better mood and less negative thoughts. Things like going on morning walks, or even having a tasteful and healthy breakfast can result in lifting your mood. 3. Change your surroundings/Find new company - This can be a cliched tip but trust us, the most effective one. Change your surroundings a bit and stay away from people who talk ridiculous or unhealthy. Here, we don't advice you to ditch your entire social circle but we are saying that little exploration is not bad. You can make new friends who are inspiring and full of life. 4. Find your source of positivity - Every person has his/her own source of inspiration. It is different for different people. It can be books, inspirational quotes, motivational videos, light-hearted movies, or maybe short trips and excursions. Tip: Calm and good music is really a source of relaxation for many people. 5. Be focused and replace the negative thought - Another tip to overcome negative thought is being focused at what you do. Since one negative thought can lower your confidence and hold you back from living in the present moment, so, stay focus at your work and don't give space to any negative or depressing thought.